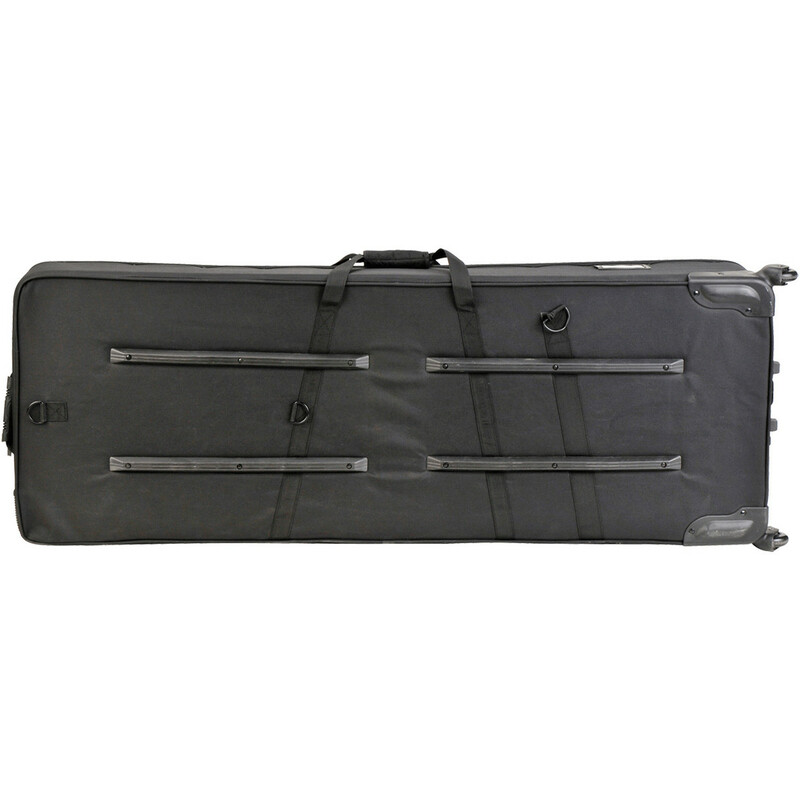 The SKB 88-Key Keyboard Soft Case is a highly-durable transport case constructed from wood-framed walls with a 600 denier nylon exterior covering. 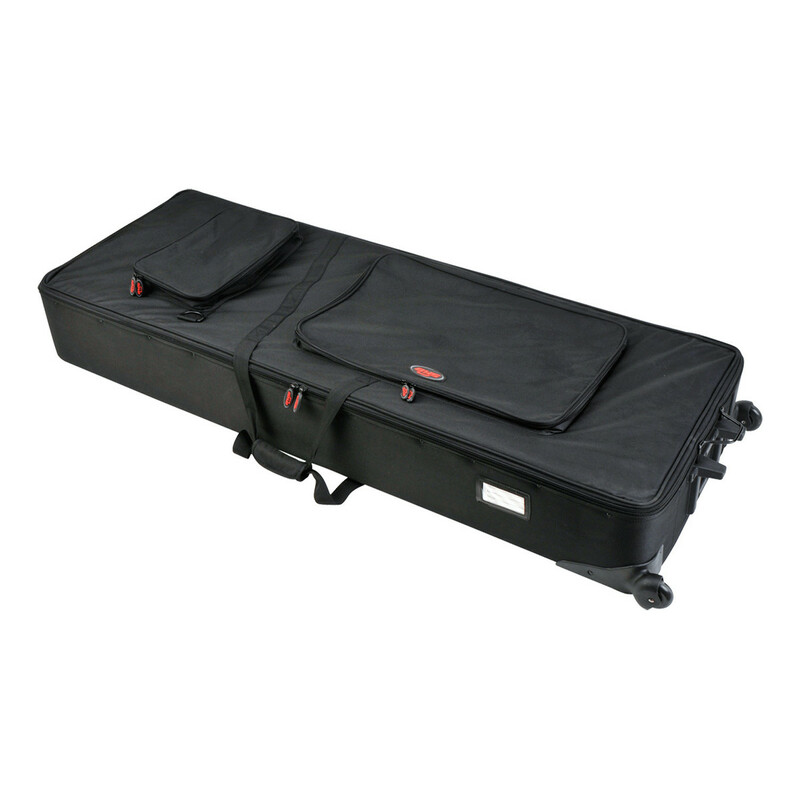 Designed to accommodate most narrow 88-note keyboards, this soft case will keep your instrument safe and secure while travelling. The case features two large padded straps as well as in-line skate wheels for added comfort and ease of transportation. Additionally the case features two large pouches for storing accessories such as cables, pedals and more. 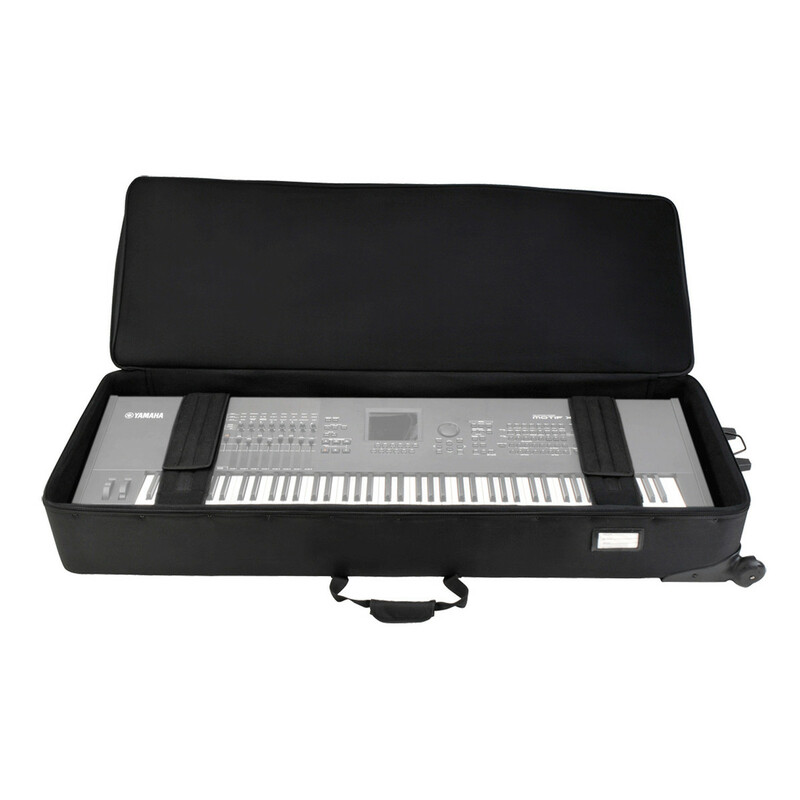 This soft-case has been designed to offer maximum protection for most 88-key keyboards, ensuring your instrument is safe and secure at all times while travelling with it. The case itself features wood-framed walls and a 600 denier nylon covering on the exterior for optimal durability, combating superficial damage as well as being impact-resistant. The case also features two large padded straps for added comfort as well as in-line skate style wheels for ease of transport. The legs also features an expanding stabilizer allowing you strand the case on its end. 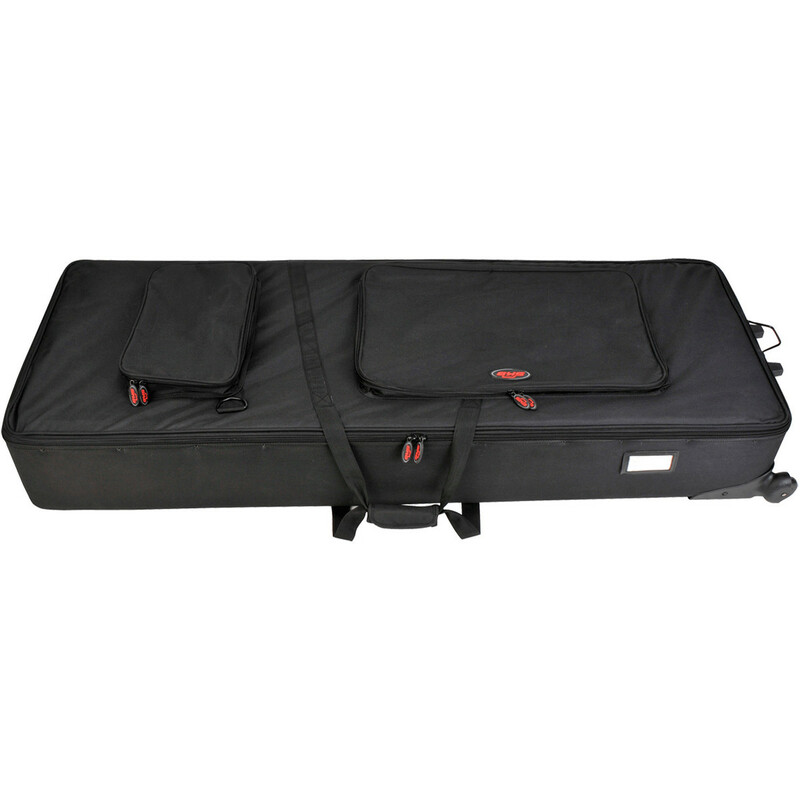 The back and side of the case has rails to protect while loading and unloading your instrument. Additionally, the case features two large pouches located on the lid, allowing you to store accessories such as cables, pedals and more. The convenient straps allow for hands-free transportation, plus they can be used to connect multiple bags together.